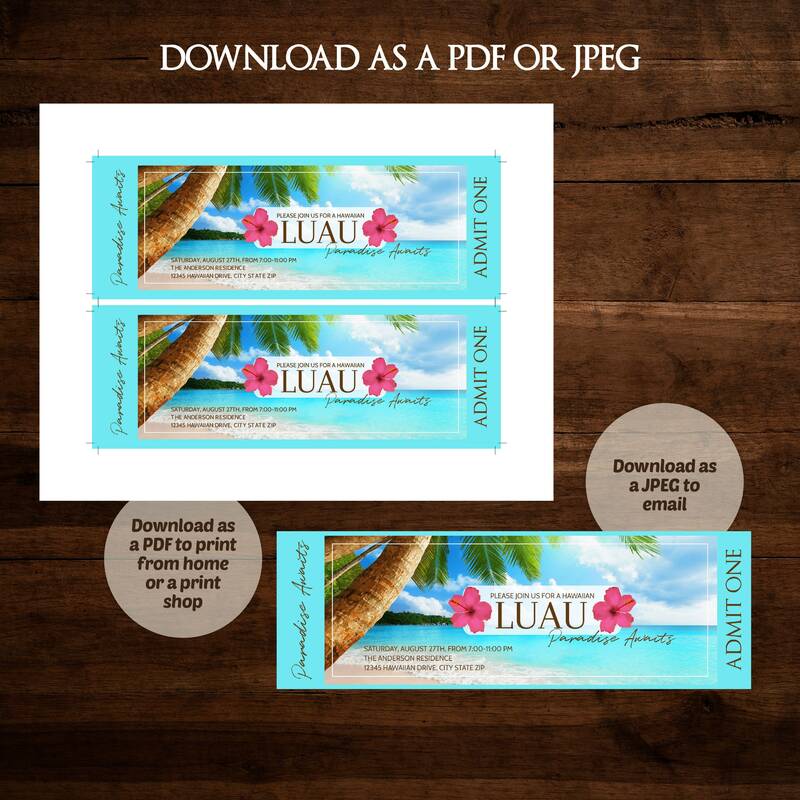 Luau Invitation Template! No waiting! Edit NOW from home using Templett.com. 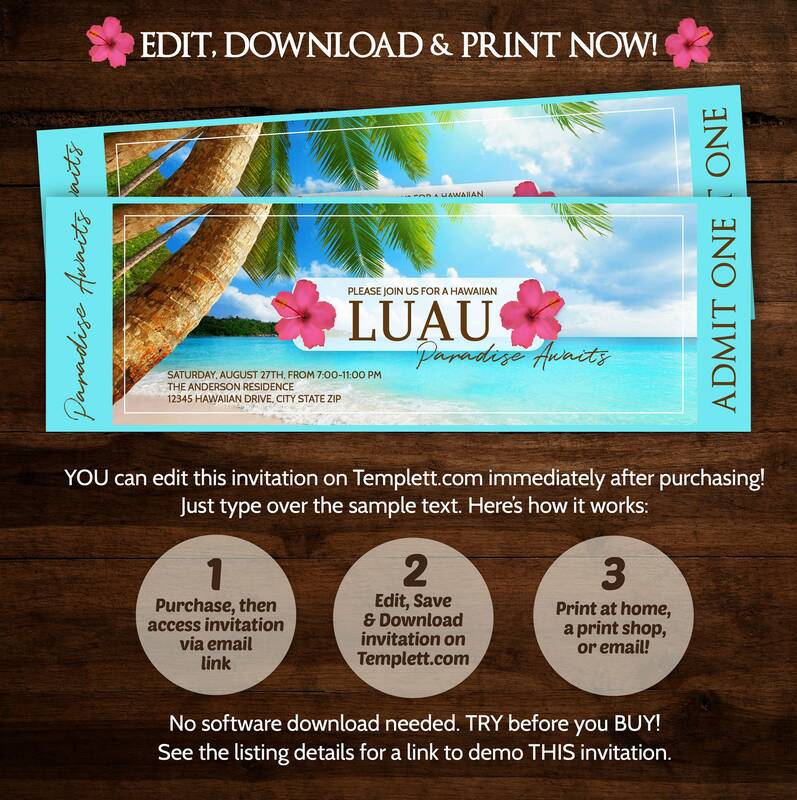 Edit your invitation with Templett.com right after purchasing! Invitations CANNOT be printed as a photo at a photo lab because they do not fit any standard sized photo. Your invitations can be printed onto white card stock (fits 2 per page) from home or a print shop, like Staples, Office Depot or FedexOffice (save as a .PDF - can print 2 per page). 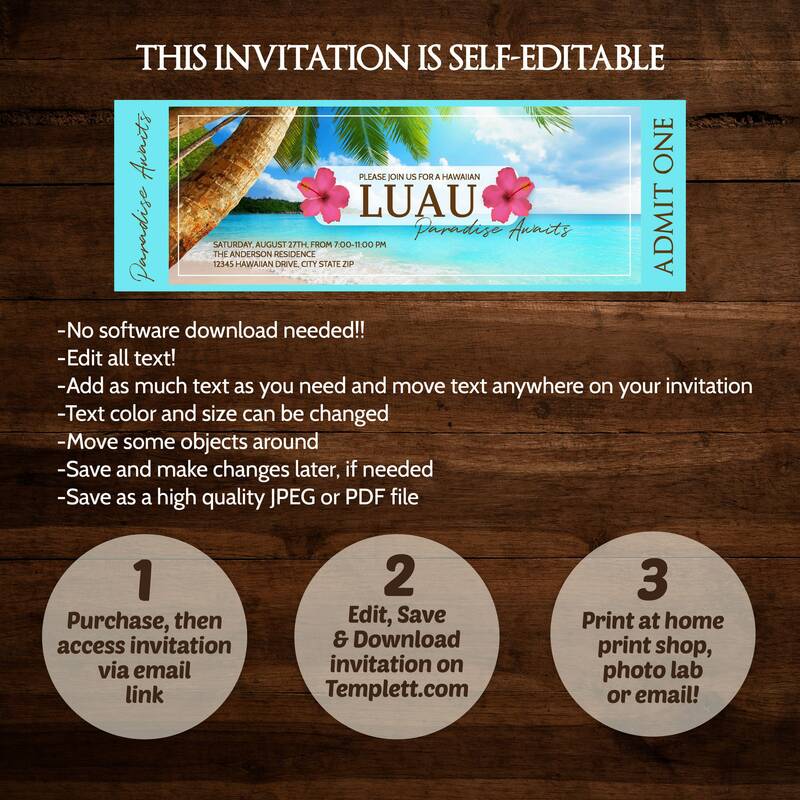 If you want to email or post your invitations, save the file as a JPG.